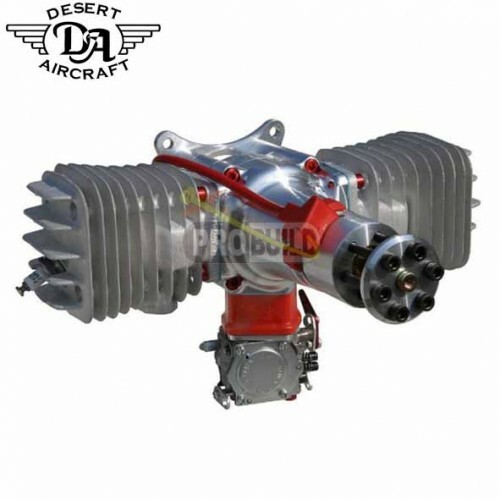 · 180 g less weight and 100 RPM more than the DA-100 on the same prop. · Most torque in its class. · New and smaller crankcase, CNC milled from 7075 aluminum alloy. · Three crank bearings, long spacing between front bearings. · Four petal reed valve, bottom induction.